Excerpted from page 22 of the July/August 2017 edition of AOA Focus. The AOA continues to lead the charge when it comes to calling out eye and vision problems in children as a significant public health concern. That’s because so much is at stake: Vision has an enormous impact on children’s quality of life-their social, motor, cognitive and academic achievement. 1. Ready for School campaign. The goal of the awareness campaign is to remind parents that annual, in-person, comprehensive eye exams-not vision screenings-should be part of the back-to-school checklist for students. Doctors can find a downloadable template news release, social media posts, an information sheet on understanding the difference between a vision screening and an eye exam, and an infographic by clicking here. 2. Evidence-Based Clinical Practice Guideline: Comprehensive Pediatric Eye and Vision Examination.Released in April, the revised guideline extensively covers how to provide a comprehensive pediatric eye and vision examination. Topics include exam procedures; assessment; and diagnosis and management of conditions and diseases. The guideline also specifies age-appropriate testing procedures for infants and toddlers (newborn through 2 years of age); preschool children (3 through 5 years of age); and school-age children (6 through 18 years of age). Click here to access the guideline. 3. Infants and Children’s Vision Toolkit. This new resource, produced by Optometry Cares®-The AOA Foundationand the AOA’s InfantSEE® and Children’s Vision Committee, includes more than a dozen resources for practices, including the Chairside Guide to Vision Examination by age and a template presentation for doctors of optometry to make to schools and community groups to educate parents and teachers about vision development. The toolkit also includes downloadable information on the impact of blue light on children and sample letters for requesting school accommodations and referrals to other health care professionals. Click here to view other tools. 4. Thinkaboutyoureyes.com. 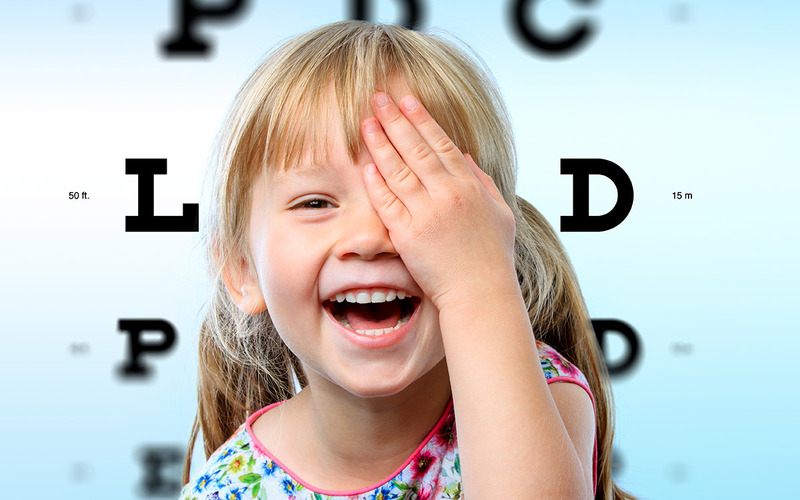 The website includes messaging and videos aimed at parents on the essentialness of annual, comprehensive eye examinations to children’s learning. The site also includes a doctor locator. Click here. 5. Healthy Eyes Healthy Children Community Grants. Optometry Cares®-The AOA Foundation will announce in August the first recipients of $5,000 grants for collaborations between doctors of optometry and community resources to boost awareness and access to vision care for children. Follow aoa.org/news to learn about the projects receiving funding or click here to learn more about the program. The Healthy Eyes Healthy Children Community Grants program is sponsored by Essilor Vision Foundation.